"They can cause a great deal of suffering to the animals who get caught in them." 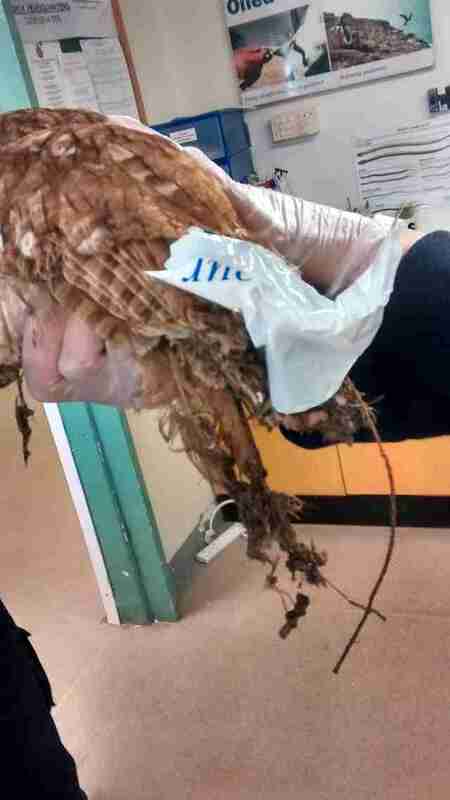 A resident of a neighborhood in Bristol, England, was out and about when they came across a heartbreaking sight - a beautiful tawny owl stuck and suffering in a glue trap. 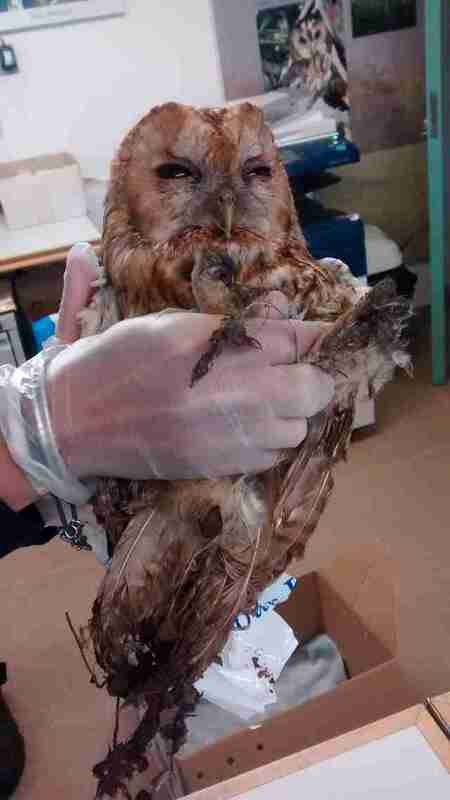 The resident immediately contacted the RSPCA, which came out to rescue the poor trapped owl. He was so stuck he wasn't even able to move his wings. The owl was so incredibly stuck and covered in the sticky glue that rescuers had to take him to the RSPCA West Hatch Wildlife Centre before attempting to remove the trap. 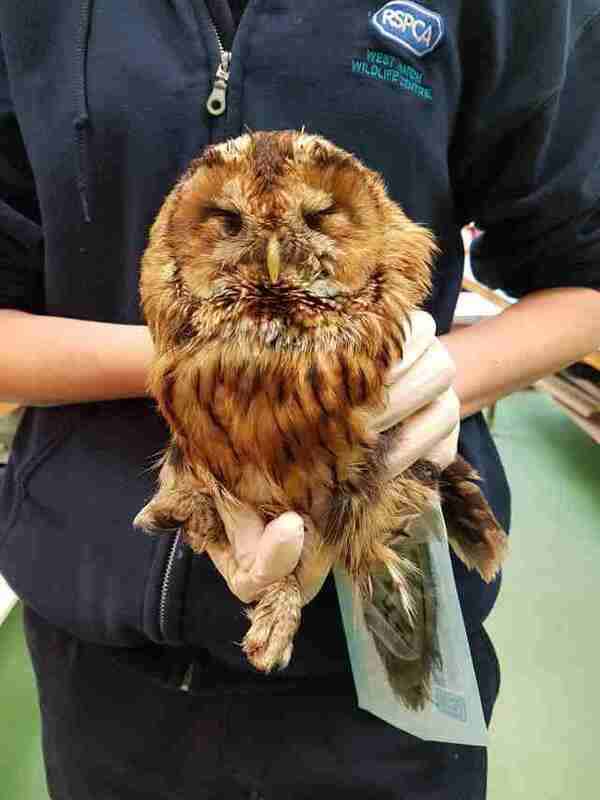 "Thankfully the owl was still alive when we rescued him, but was exhausted from trying to get free from the glue trap," Chris James, an RSPCA animal collection officer, said in a press release. The owl is still recovering at the RSPCA center, and will be released back into the wild as soon as he is healed. Glue traps are typically a sheet of plastic, cardboard or wood coated with a nondrying adhesive used most commonly to catch rats or mice, and are considered incredibly inhumane and unnecessary by animal organizations and animal lovers everywhere. "We are opposed to the use of these traps as they can cause a great deal of suffering to the animals who get caught in them - who are basically left to die a slow, lingering death," James said. Many animals who get caught in glue traps are struck with so much panic when they realize the glue has immobilized them that they will rip out patches of their fur, break bones or even try to gnaw off their own limbs just to try and break free, according to the RSPCA. Glue traps are not only a danger to the animals that they are left out for, but also to unsuspecting owls, birds and other animals who might accidentally get trapped in them. It is always best to use safe, humane methods to try and remove wildlife from unwanted areas, in order to protect wild animals everywhere. To help save more animals like this owl, you can make a donation to the RSPCA.